Mold Remediation AKA Suncoast Contractors Emergency Service, Inc.
Do You Have Mold Problems In Your Home? Leak Detection – Call The Mold Pros At Suncoast! Mold Remediation In Lantana – Suncoast Contractors Emergency Service, Inc.
For a stress free claim process, we can help manage the insurance paperwork and process. Mold Remediation Pros - Faster To Any Disaster! I came home to a nightmare of a situation. My floor was flooded and my house smelled musty. They had a team and had my floor dry within a few hours. I highly recommend them if you have issues with a flood and mold. My bathtub had a leak and it went through the floor to the ceiling on the first floor. I had called another service and they were closed. I called them and they said they offered 24 hour emergency service and they got someone out to me right away. I bought an income property and it had mold in three of the bedrooms. They came in and removed the mold and rebuilt the walls and replaced the carpeting. They did a great job and I would recommend them to anyone with mold issues! For a stress free claim process, we can help manage the insurance paperwork and process directly with your insurance company. Our Team of Mold Remediation Experts are available 24 hours a day 7 days a week to assist with any emergency issues. Call us anytime. Our mold remediation and water damage technicians are licensed and highly trained to get the job done right no matter the size. You can feel confident in a job well done with our team. From Mold inspection to carpentry we have you covered throughout the entire process. 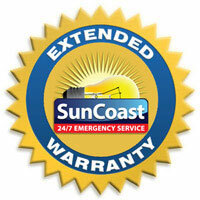 Suncoast Electric and Air is your full service water damage restoration provider. We can detect leaks and repair their damage. Professional Water Extraction reduces drying time and prevents mold and secondary water damage to your property. Call our water cleanup experts! Here at Suncoast Contractors Emergency Service Inc. our mold remediation professionals recognize the growth of mold may stop, but the damage left behind remains. Unfortunately, the substance used to treat the mold aren’t magical and can’t restore the home to what it was before the fungus. MoldRemediation.Pro of South Florida does have a way to recover from a mold outbreak. Mold remediation begins with us killing all of the mold with an antimicrobial chemical. This isn’t the end of the process, though. Further measures need to be taken in order to rid the home of mold. HEPA filters are used to rid the home of mold spores floating through the air. These spores cause the mold to relocate and begin to repopulate. Unless all the spores and mold are gone, the problem will just continue. Suncoast Contractors Emergency Service Inc. takes into consideration the different types of materials the mold may have contaminated. In other words, our experts wash the non-porous surfaces and educate you on the best course of action with the porous surfaces. You may have to rid your home of some of these items, but we take the necessary steps to help you rebuild and start over again without fungus. We may suggest having your air conditioner or air conditioning system professionally cleaned since a/c’s are notorious breeding grounds for mold. We take the necessary steps to find the cause of the moisture in your home, which is the cause of the mold. Once we target it, we take the necessary steps to rid your home of the moisture. From water extraction to flood water removal we make sure the job is done right. This prevents you from having to deal with the problem of mold once again after the cleaning takes place. Mold remediation requires many items in your home to be dried. This takes away one of the necessary components of mold growth, moisture. We even take the needed steps to look in crawl spaces and other areas of the home known for mold. These forgotten-about spaces have the potential to grow mold and spread it throughout your home, especially through your heating system. You must have all the spaces with mold in your home cleaned, or you’re repeatedly going to have to undergo the same process. Once your materials have been removed from your home, we begin the process of rebuilding, so you don’t have to. We replace all the removed material with new, clean components. How Does Mold Remediation Help? Mold remediation benefits your home in so many ways. In fact, mold remediation improves the appearance of your home since visible mold is unsightly. It can make a clean house look dirty. Plus, it’s known by a majority of people who enter your home what’s all over your walls. Not to mention, it improves the health of anyone who has asthma or an allergy to mold. Mold remediation benefits those who are immunocompromised as well. Suncoast Contractors Emergency Service Inc. offers our mold remediation clients a treatment unique to their needs. Each house is treated differently in order to truly rid the home of the problem. To learn more contact our mold remediation professionals at 561-203-4911. 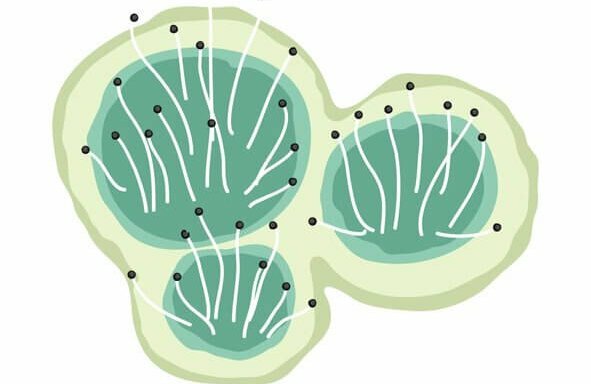 How Do You Know Your House Has Mold?